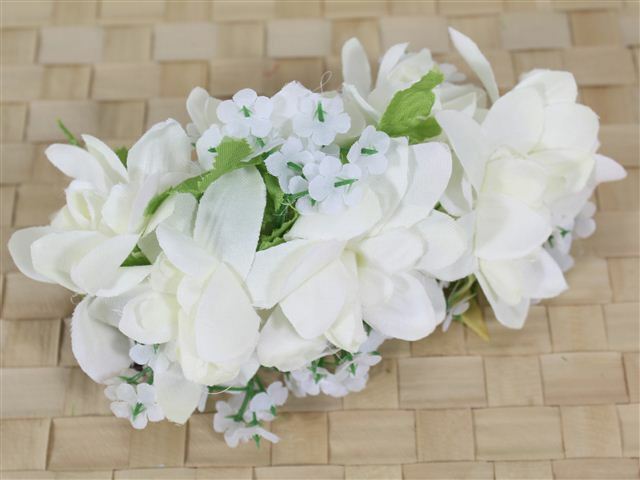 Purchased Item: White Long Tuberose Clip 6"
love tuberose in real leis so i want a tuberose to remind me of Hawaii. Very pretty clip, but was not the full 6" in length I was looking for. I had to add flowers to it to make it the right length for our hula performance. Otherwise, it is a well made clip and beautiful.